Thank you Solomon for the response. Solomon, I have told the truth. I am not afraid of prime minister Meles Zenawi. He is a mortal human being like me who live under the sun like me. I do not think I can make the mistakes he has been doing again and again in his era of reign. About Melaku, I did not side with Melaku; writing about his grievances does not mean I sided with him. I know his story only. I have no means to know the other story. However I know many people have been asking the prime minister to do something about Mekele University since 7 years ago. I have heard many people asking why Prime Minister Meles Zenawi skipped Mekele University when he was arresting people for corruption when he was rounding people who challenge him by corruption charge. I may not have the other sides story, but I have many stories about Mekele University. I have heard many stories about this University for the past 7 years. You said he has no time to address every problem, he must have efficient and clean system then he can address every problem. Where I live I can even talk to my prime minister if I wish why not Meles? What is he? He cannot address a problem in one University for 7 years? When will he then have time to address any of the problems? If you know the case which caused Melaku to be stripped off his citizenship, why do not tell us? We need to know we have rights to know. In further, I did not use aggressive language, I am not in Ethiopia, I am free to speak the truth. There is no repression where I live I am free. Mentioning the wrong things he has done is not aggressive. Where I live whether it is the prime minister or any citizen does not go away everything one does. Every one is responsible for ones action whether it is the prime minister or someone else. If the prime minister cannot address one problem in 7 years, he must resign, and give to some body who can the job? The problem is that Prime Minister does everything in Ethiopia. He is the lawyer. He is the doctor. He is the education Minister. He is Defense Minister. He is the Universities Chancelor. He is the Health Minister. He is everything. That is why he cannot address all the problems because there is no labour division. He does not work with people. he works alone. That is the main problem. Otherwise, he could have delegated other people or the ministers and higher education commissioners could have done their job. The other thing, in democracy no one go away with ones ill-deeds. In democracy everyone is responsible for ones own misdeeds. No one is immune to the question of ones misdeeds. Solomon, if you are close to prime minister Meles Zenawi, please tell him: The maxim that Prime Minister Meles Zenawi’s mission that Ethiopia’s enemy number one is poverty. Tell him poverty has a cause because every problem has a cause. Poverty is the effect of a cause. Ethiopia’s enemy number one is the cause of poverty. What is the cause of poverty? The cause of poverty is injustice, oppression, repression, corruption, ignorance, Arrogance. Ethiopia’s enemy number main enemies are indescribable internalized oppression which has been implanted in all of us from our early stage. It is not easy to be free from the repression which is born with us from unjust rulers of the past. That is why Meles never see all the injustice and further repression he has been committing on our people. The fact that he thinks he is better than the rest of Ethiopians. The fact the strip off Ethiopians their citizenship and their humanity because he was born repressed like all Ethiopians. The solution for this must be Siye Abraha’s new thinking platform. Prime Minister Meles is stuck with an inborn repressiveness. That is why he strip off his own people their rights and dignity. Ethiopians have been dying because of him? He depriving their right to live on this earth? He is a person who loves to live in conflict and bloodletting, that is why he did not want to finish the war with Eritrea because he loves to rule in constant conflict. ? That is why he ignited an endless new war in Somalia which will keep Ethiopians bleeding and he keep on reigning. I thought he could end up a wise person, but he has been getting worse all the time. Meles is an Ethiopian who believe Ethiopia must be landlocked. Prime Minister is some one who believe he cannot do development work without war. Solomon, I have a right to critize Prime Minister for all the wrong things he does . It is my inborn right to say wrong is wrong and right is right. I know that right does not exist in Ethiopia. Ethiopia is the most repressed country that is why it is the poorest country on the planet. The root of that poverty is we are conditioned to live repressed and whoever come to power is repressed and repressive. That is why no one is solving Ethiopia’s problems. Every repressed is coming and make it all worse. 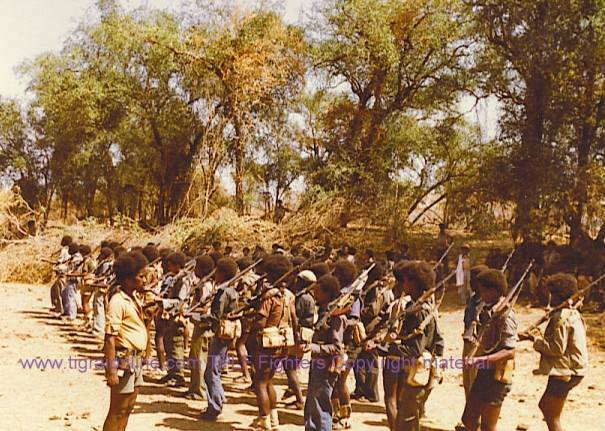 Mengistu came with his repression and repressed Ethiopia. Meles came with his repression saying Ethiopia must be landlocked and must live in war. And even after he won the war he said he finished the war. Meles is a big part of the Ethiopian problem than a solution of Ethiopian problem. A man who chase his citizen and who invite even Satans who have money. That is why Ethiopian commercial bank was buying stones instead of gold? In the 21 century buying fake stone gold?